By Roman de Salvo. I had to look up the word; it’s a type of aquarium, with lots of plant material. Public art keeps calling for my attention. 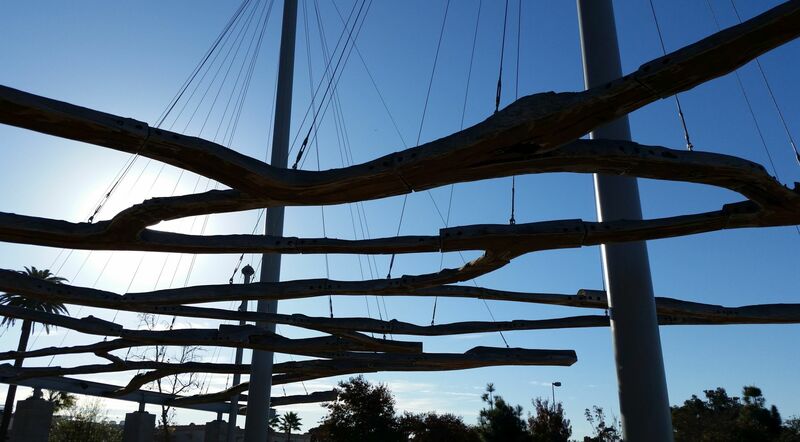 I thought it was an abstracted sailboat; the wires and the “masts” defining the sails and the logs (eucalyptus) defining the deck of the ship.